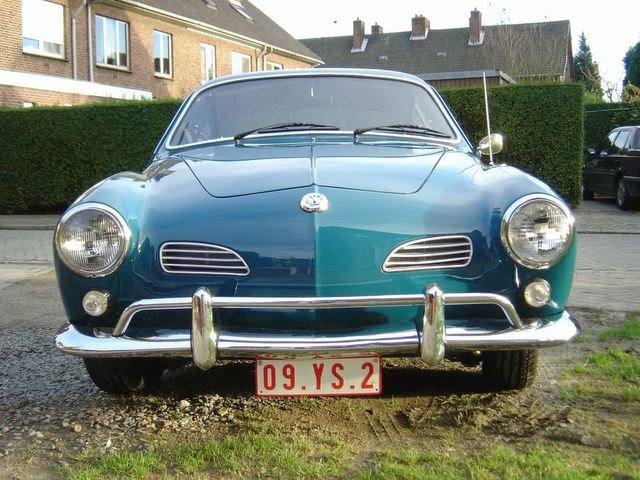 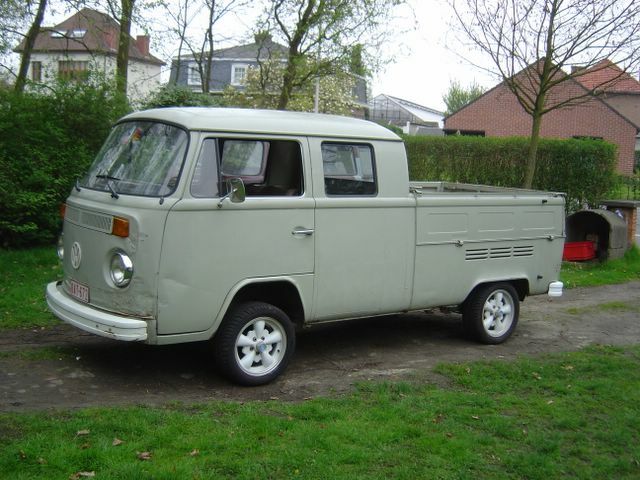 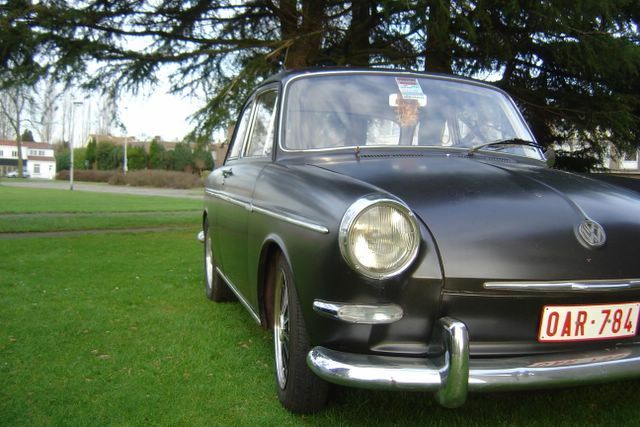 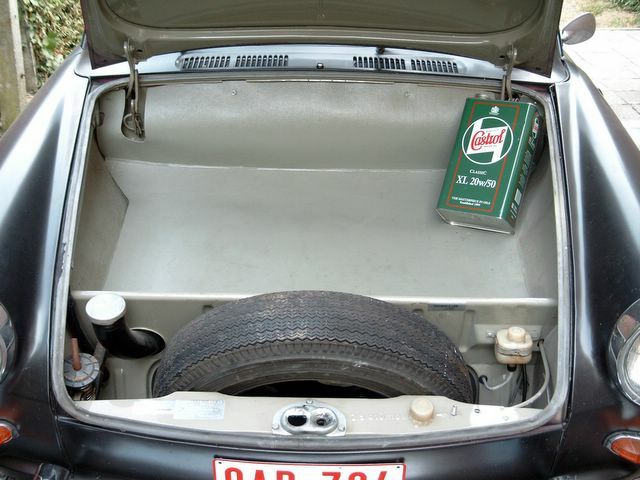 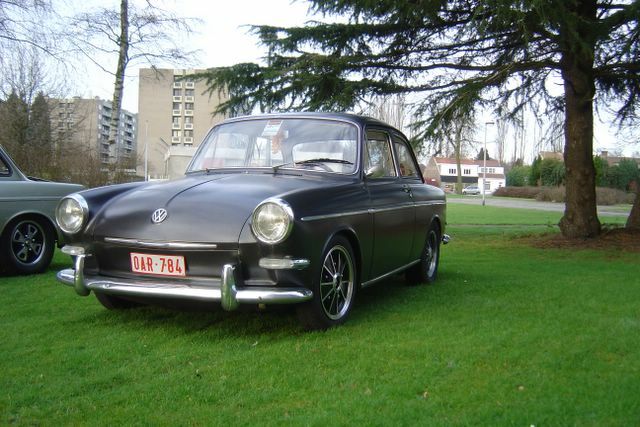 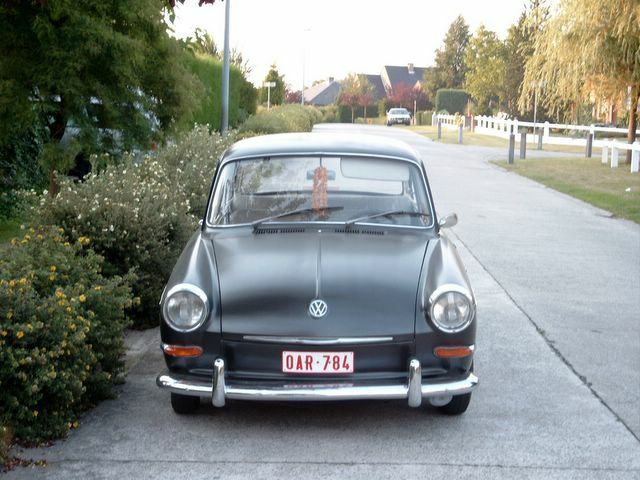 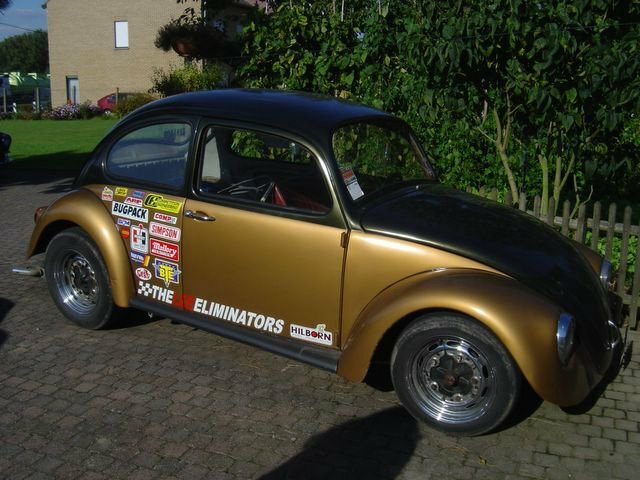 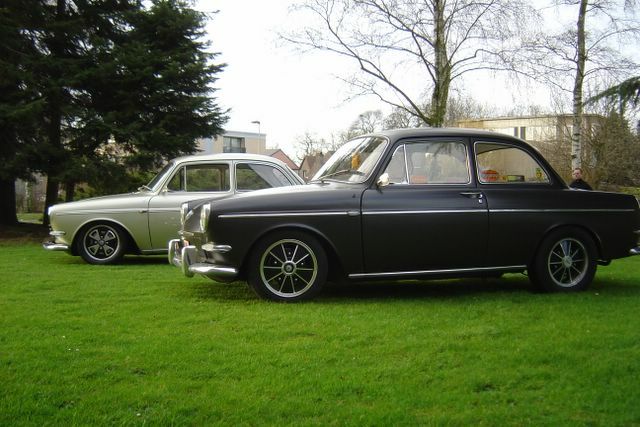 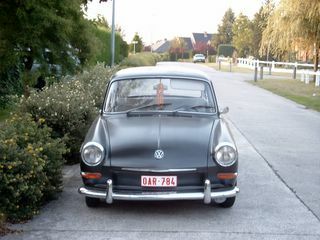 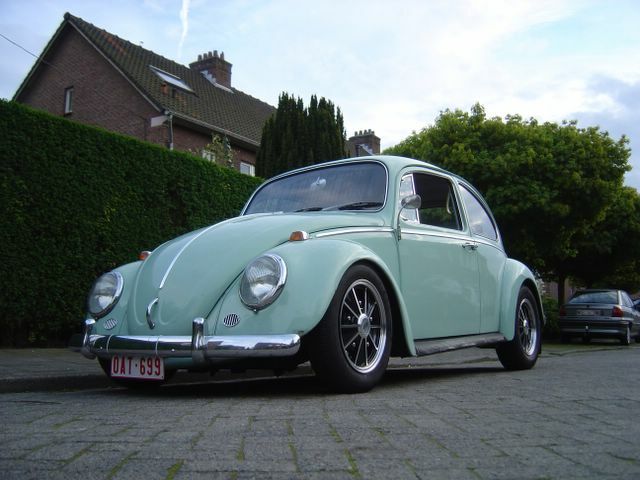 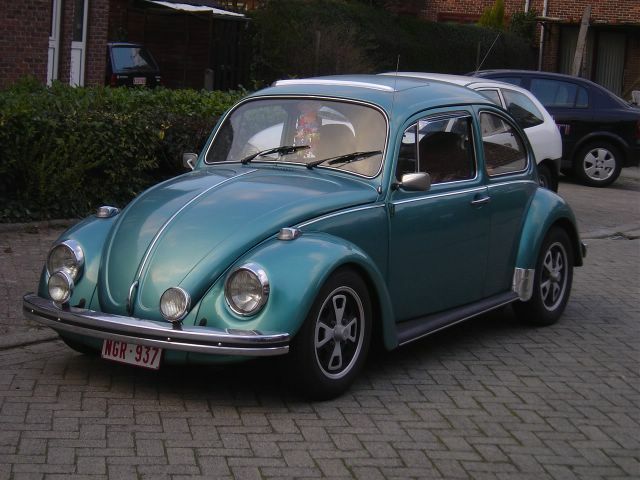 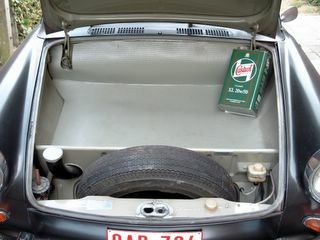 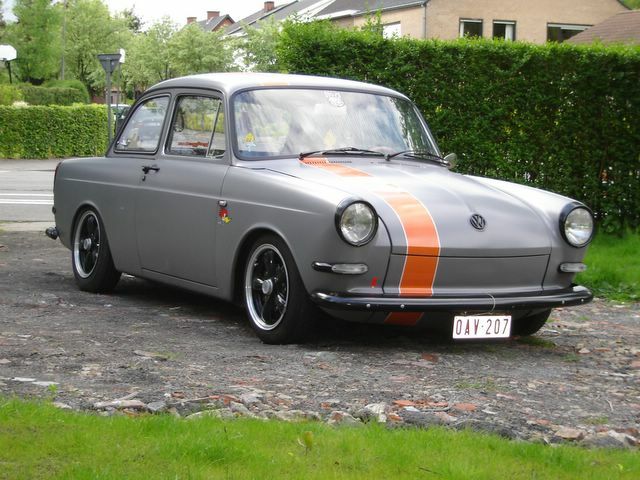 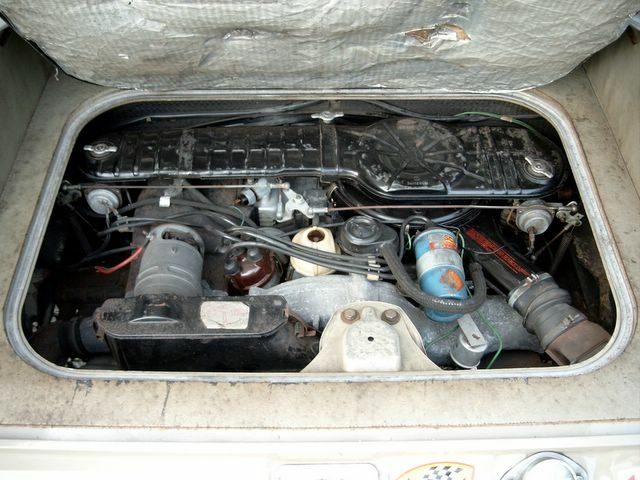 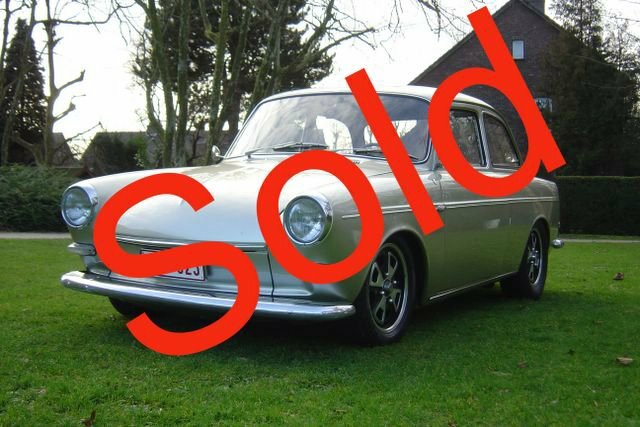 Wim's ride is a very nice example of a 1965 1500S. The engine is the original 1500cc unit which features twin carburators and high compression pistons for a higher CR (more horse power). 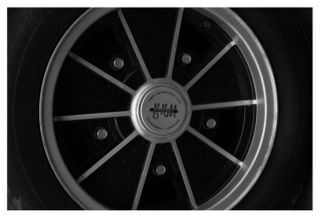 The wheels are repro BRM's in 4.5" front (with 135 tires) and 5.5" rear (with 195 tires). 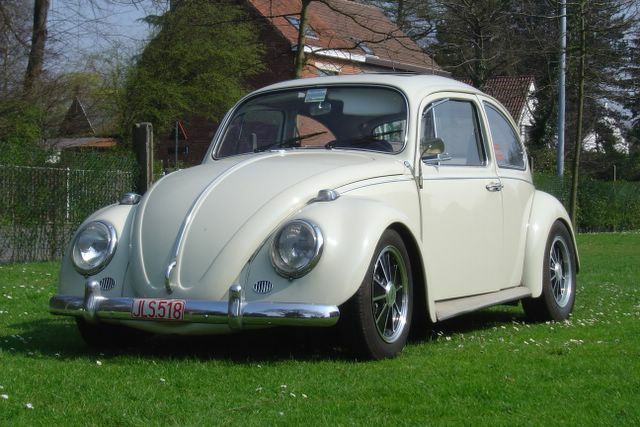 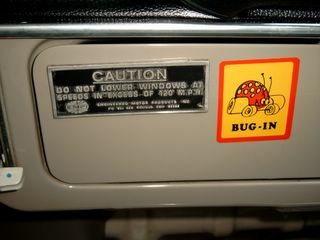 The rear axles are swapped for short early bug-units. 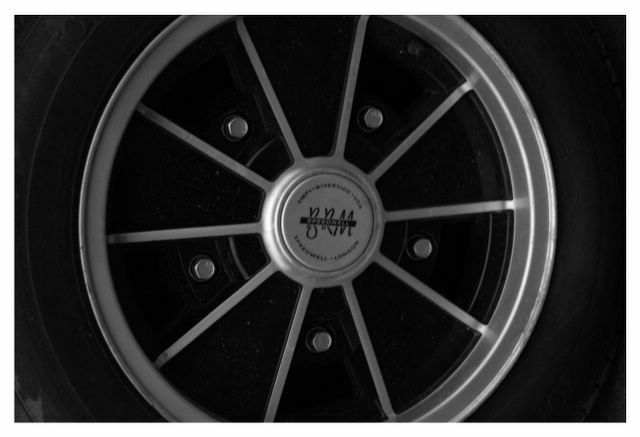 The front brakes are upgraded to CSP wide 5 disk-brakes while the rear are rebuilded original units. Latest update of the Notch's interior. 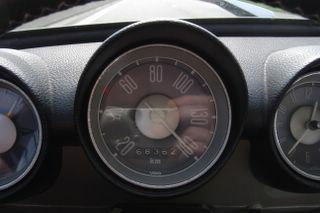 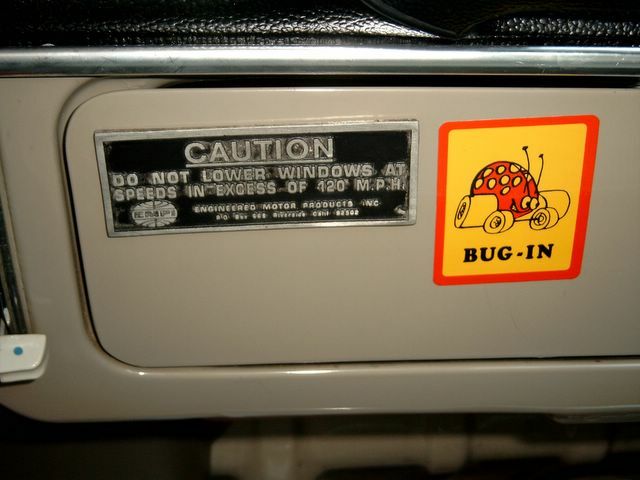 Wim added a 6-volt VDO rev-counter to his dashboard. 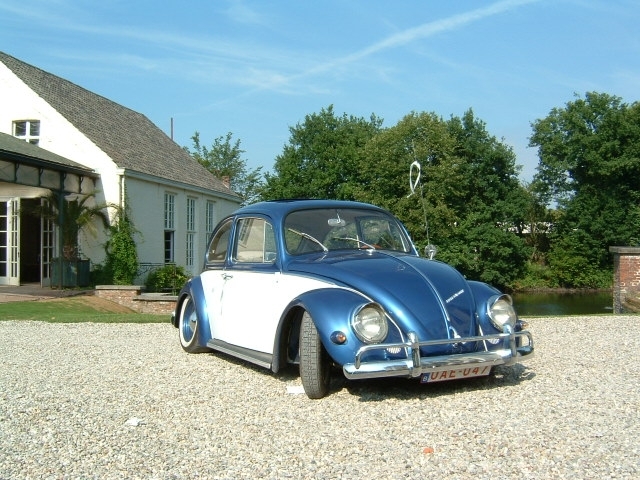 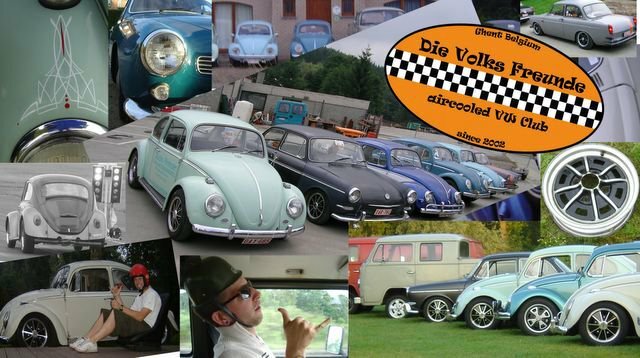 Airco against the original Seasand-paint. 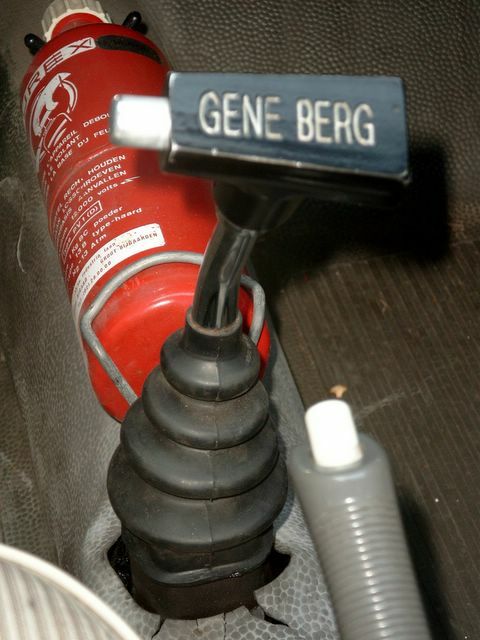 Gene Berg shifter and period perfect fire extinguisher. 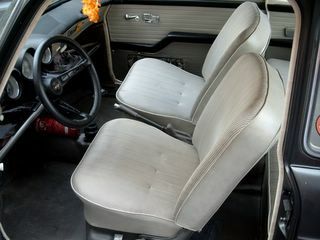 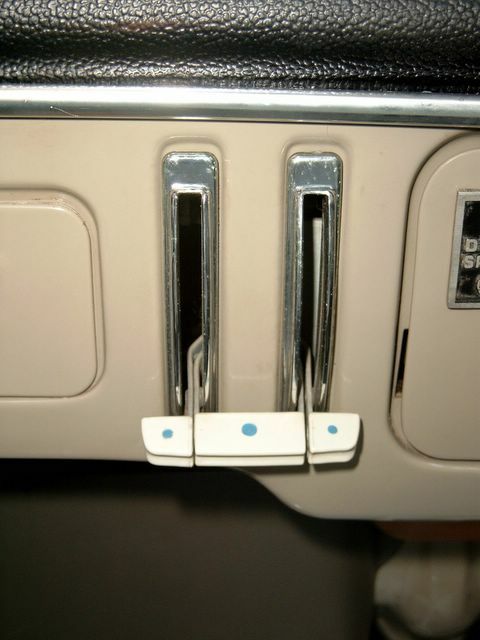 Interior as I see it when cruising. Original under-bonnet area still wearing it's original paint. 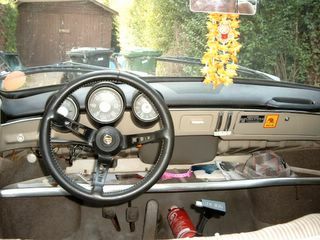 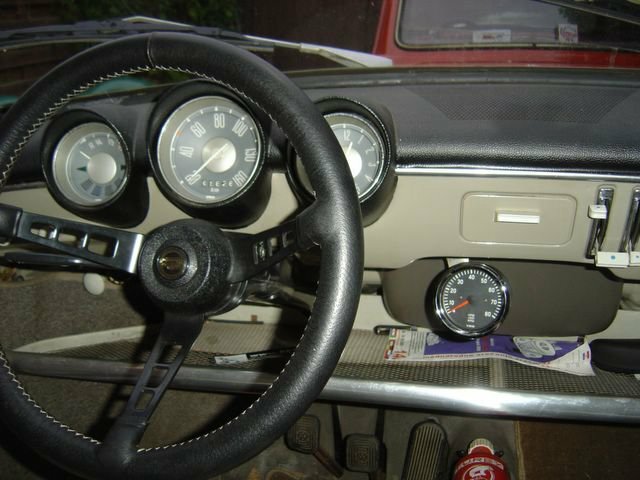 The original interior of WIm's Notch except for the Gene Berg shifter, sports steeringwheel. 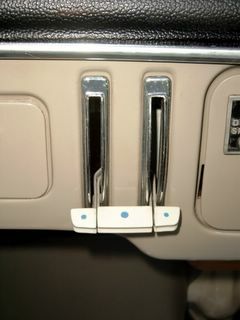 Interior also features Simpson lapbelts right now.